At a Capitol Hill media event staged by Rep. Ed Markey (D-MA), Progressive Democrats met with environmental activists to celebrate the 50th anniversary of the Alaska National Wildlife Reserve. As per usual, these earnest protectors of the flora and fauna of the virgin Alaskan coastal plain did so with the reverence and dignity so commonly associated with Progressive politics. National Review Online has the story. 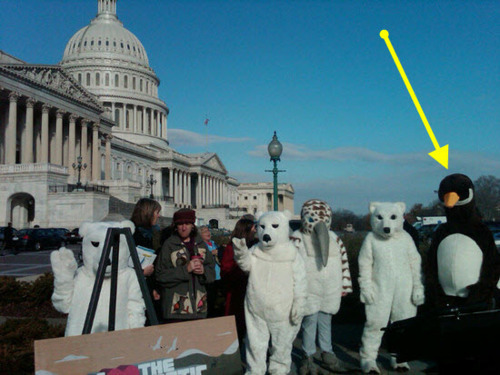 To celebrate the 50th anniversary of the Arctic National Wildlife Refuge, a number of the attending liberal activists (though no members) are clad in polar bear and penguin garb. “Iconic animals,” Markey beamed. 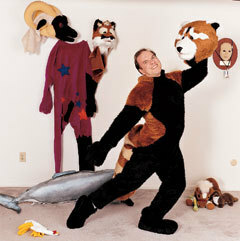 FoxWolfie Galen (pictured below) could not be reached for comment.